MIDTOWN — Bryant Park's legendary green lawn will attract more than picnic blankets later this month, as a flock of sheep get ready to take over the park. 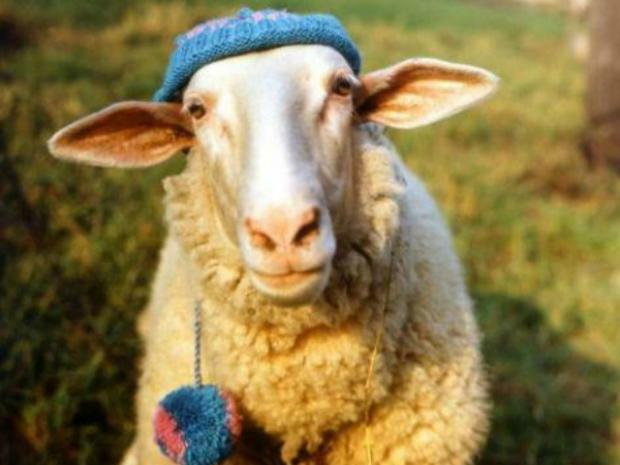 Thirty sheep will be brought into the city from an upstate farm Sept. 27 to munch on, and fertilize, Bryant Park's grass as part of an event to promote the Campaign for Wool, under a plan unanimously approved by Midtown's Community Board 5 Thursday night. The animals — part of the promotional campaign started in 2010 by the Prince of Wales — will be penned in a 40-foot-by-40-foot, plexiglass-enclosed area and will be allowed to munch on the park’s manicured lawn. A representative for the Bryant Park Corporation said the grass in the designated sheep area will be allowed to grow extra long in advance of their arrival. Community Board 5 parks committee members expressed some concerns at a meeting earlier this week about sanitation problems and the prospect of cleaning up after 30 sheep who will be snacking on grass throughout the day. But one of the sanitation crew members, who also attended the meeting, said he had investigated sheep manure to determine what kind of challenge his team would face. The pro-wool campaign — which was launched when the prince noticed an overall decline in the industry, with the price of wool dropping along with the number of sheep worldwide — touts the benefits of the fabric, praising it as durable, easy to clean and breathable. “All we are saying is give fleece a chance,” the campaign's slogan reads. This is the first year that this campaign will be heading stateside. Organizers said they also want to drain the fountain in the park for the day and fill it with wool and yarn, as well as cover several trees in the park with wool fabric. A table will be set up to showcase how raw wool is sorted. Crafting and knitting stations will showcase wool-centered activities. A bespoke bed made primarily of wool will be on site, along with the craftsman who made it, to highlight the process of creating a mattress from wool. Home decorating store ABC Carpet & Home will provide wool rugs that will be used for yoga sessions. “These vignettes that we’re creating will show the different uses of the finished product of wool,” said Ken Solomon, of Mission Public Relations, the firm handling the event coordination. QUIZ: Are You Smart Enough to Get Into Private Kindergarten?